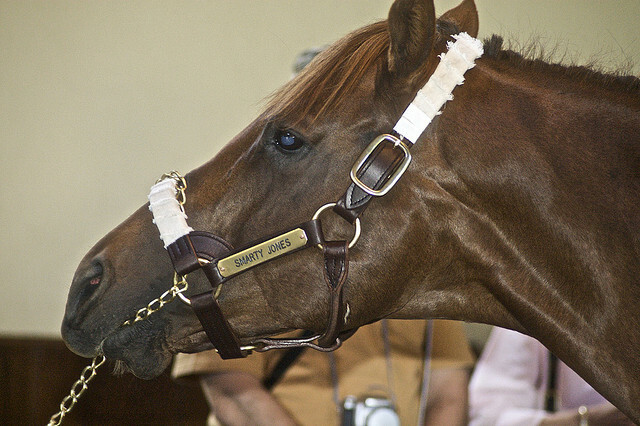 I’ll take any chance that I can to rave about one of my all-time favorite horses, Smarty Jones, who Monday’s stakes race for 3YO from Oaklawn is named. He raced at Oaklawn through his 3YO winter in 2004, winning all 3 stakes he entered. Monday’s race is 8f for 3YO. Still a bit on the shorter side distance-wise, but this race may mark some decent contenders moving into the season at Oaklawn. Mr. Z has been in some tight photos as of late, but has been competitive against the top of the division. He has 10 points already and a win here would get him pretty close to the magic number for qualifying for the Derby. Lucky Player also with 10 points, returns after failing to back up his G3 win in the Iroquois. He’ll have to move forward — not impossible, but not something that seems very likely. Hebbronville is interesting on his first stretchout on a (likely) fast track. Weather looks nice this weekend in Hot Springs, so no concern of another wet track for this one. He could be something — which he showed by running well against Blofeld in the Futurity last October. Far Right is interesting, but another that would need to move forward significantly to win. I’d rather wait a race on horses like that. I don’t like Bayerd past this distance — he could get the mile here, though. He’s intriguing — more of a sprinter against many of these prepping for longer and bigger things. He’s worth a look, but today only. For those playing, I’d move away from those with points — Mr. Z and Lucky Player — and towards some possible prices. Consider instead Bayerd to steal it with the short stretch or for Hebbronville to enjoy the added distance and dry track. Good luck on Monday at Oaklawn.